Gwyneth Paltrow. Academy Award-winning actor, singer, writer. Star of Seven, Sliding Doors, Shakespeare in Love, Emma, Great Expectations, Iron Man, Iron Man 2, Iron Man 3 and Glee. Mother. The face of Estée Lauder. Ten hit singles. Twelve albums. Three published books. RNIB. The Royal National Institute for Blind People. The UK charity for everyone affected by sight loss. Campaigns. Donations. Fund raising. Provide support, advice and products needed for people with sight loss to remain independent. The Financial Times. English-language business and economics daily newspaper. Acquired by Nikkei in 2015 for $1.32bn. Considered the most important business read by 36% of the most senior decision-makers in the world’s largest financial institutions. The question is, which social media channels do these three consider to be too important to leave out of the mix? Twitter – with its 310 million monthly active users, micro-blogging to an ever-increasing audience of content-hungry users? YouTube – the ubiquitous video-sharing service, available on desktop, smartphone… even on TV? Instagram – with its emphasis on images, either still or video, enabling users to share what they see? Pinterest – the image-sharing site, branded the “catalogue of ideas”? LinkedIn – the professional network for businesses and professionals? There is a pretty easy fit isn’t there? Surely the Hollywood actress would be on Twitter and YouTube. The charity might share tips on Pinterest. And the newspaper group is bound to be on LinkedIn. 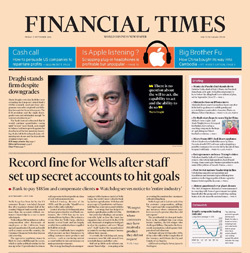 The Financial Times obviously did this and, among their other channels, they use Pinterest to publish infographics, charts, data and promotions for the FT. The RNIB did it and, as well as their other channels, post videos on YouTube and graphics on Instagram. And Gwyneth Paltrow did it. She uses LinkedIn to showcase her career, highlight the new direction she is taking and publicise her internet brand, goop.com. All businesses, charities and organisations should optimise their social media efforts by reaching out to every available audience. So, if you’re promoting a business, make sure you are using the right social media channels, not just the obvious ones. In researching this article, The Digital Zebra donated to RNIB. You can do so too, here. Does your social media strategy enable you to reach every potential customer, across every social media channel they use? Do you have a strategy that offers the right social media content to every customer type you are looking to attract? Do you need an optimised social media strategy that will help your business reach customers you are missing out on? We can provide expert advice and guidance on social media strategies in plain and simple language to help you maximise returns and start achieving your goals as soon as possible. 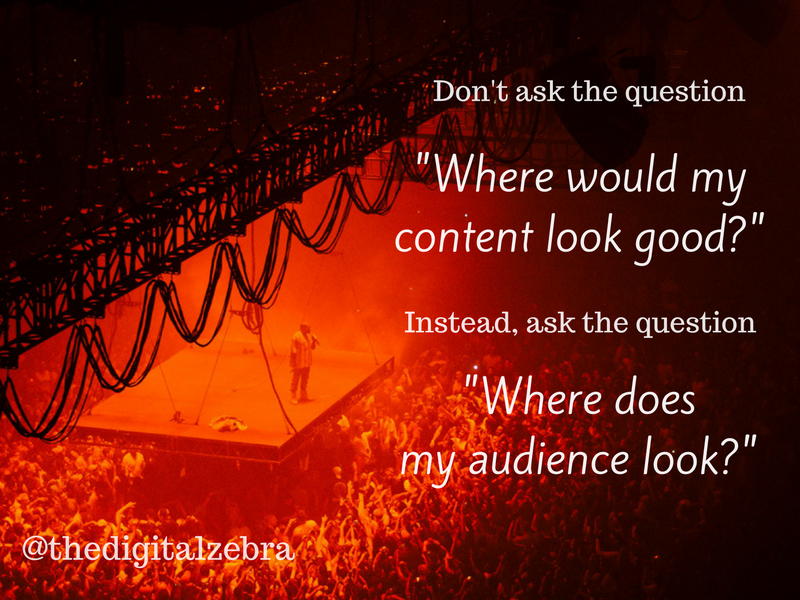 Email us now – info@thedigitalzebra.com.